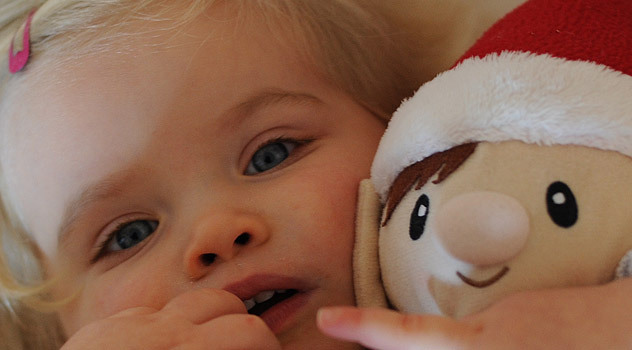 My daughter has taken a liking to Elfin and loves to cuddle him and play babies with him. He is not keen on her games. 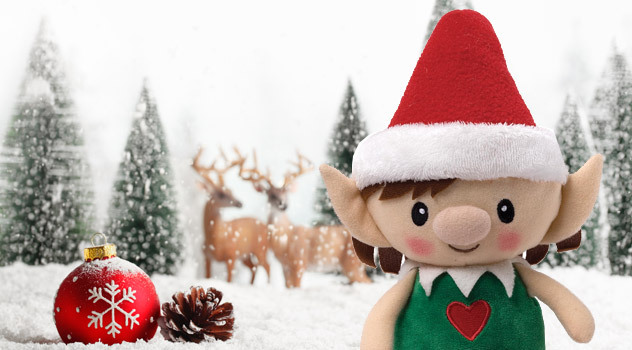 His ears go as red as Rudolf’s nose and faint smoke curls out of his nostrils “I am a real Christmas elf not a doll. Stop it now!”. Yet he didn’t dare say no to her when she snuggled up in bed with him. Her screams make Elfin shake from head to toe, and he’ll do anything to keep her quiet – including going to bed at 7pm. I was quite relived to have have him tucked in bed – peace and hopefully a quiet night too! 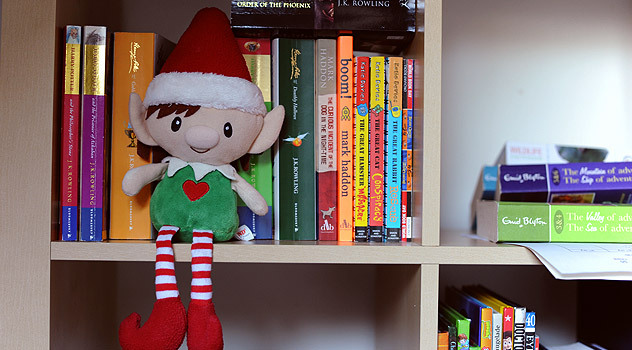 The little elf looks so adorable and innocent in bed… how could I have evil thoughts of posting him straight back to Santa? 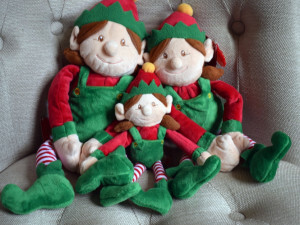 Maybe Christmas Elves are rather like children. While they on occasions drive you crazy, the next minute they make you (and everyone else) laugh – you look at their cute little face and forgive all mischief! Elves don’t seem to need much sleep. 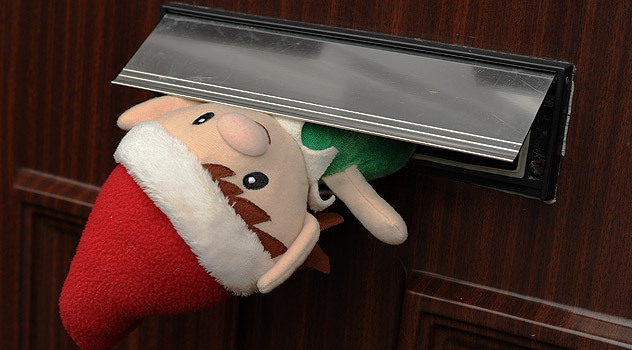 Elfin must have woken early, and bored, sneaked out of bed and tried to amuse himself. We found him hanging from the Advent calendar this morning. 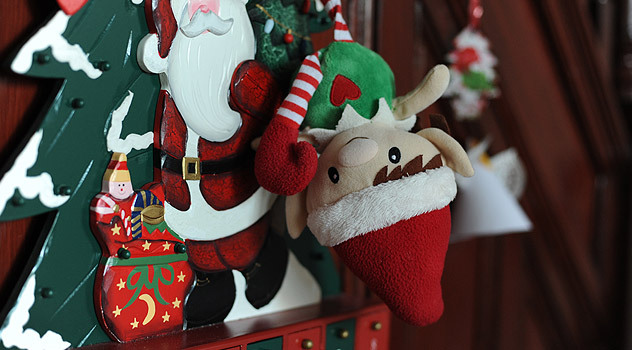 Several windows of the calendar were opened and – surprise! The chocolates had gone. Now Elfin what’s happened to those sweets? Maybe you should discuss this with your parents first! 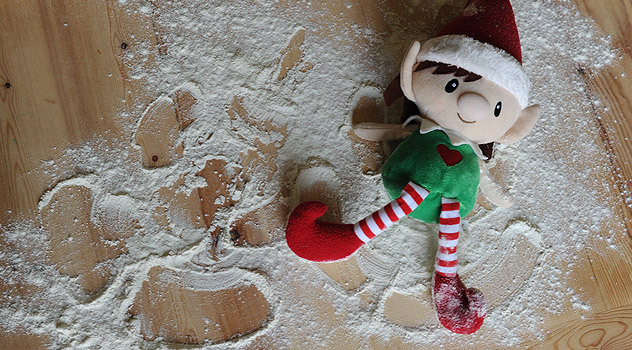 Not every one like their elf making a mess! If your parents agree, Can’t see why your elf couldn’t be a bit more playful!